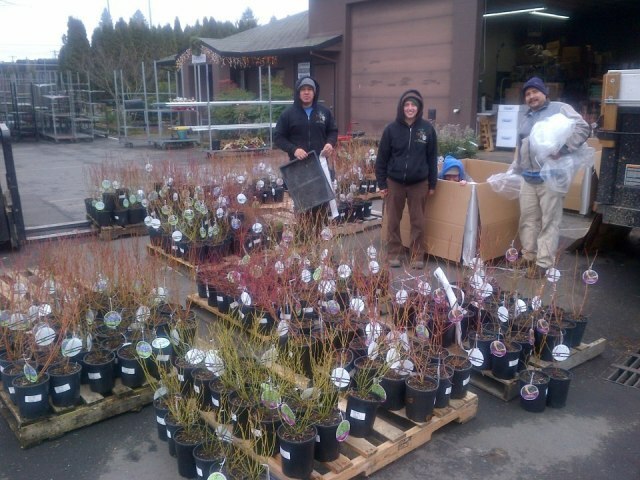 Pallets of blueberry plants arriving at the Portland Nursery on Stark St. Photo courtesy of Portland Nursery. 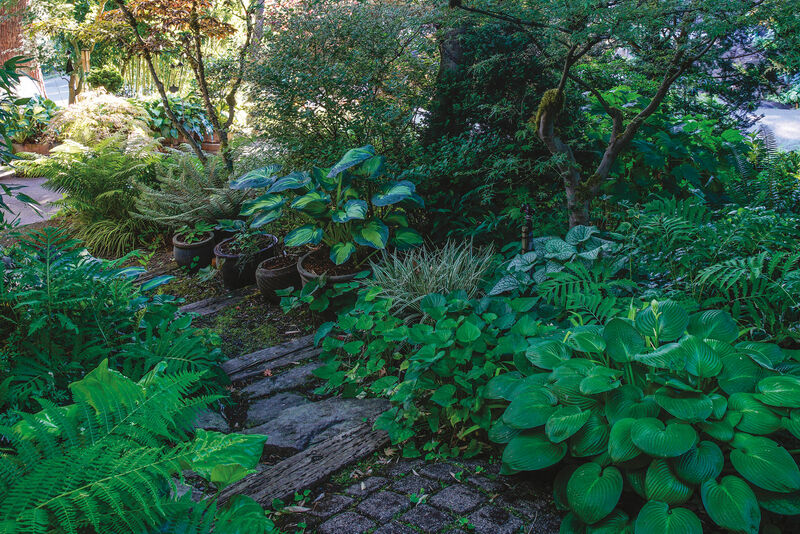 Everyone knows blueberries are delicious and the plants grow well in the Pacific Northwest. But did you know that many blueberry varieties also look striking in the winter garden? Right now, blueberries - as well as other small fruit - are showing up at local nurseries. Check them out now, while you can see the bright twig colors. Wear your woolies, including warm gloves, so you can read the blueberry plant tags and make some decisions about the varieties you want to add to your garden this year. - Plant size: lowbush blueberry varieties can be as low as 1-2' tall and wide, while highbush varieties can range from 5-8' tall and wide. - Flavor: lowbush blueberries (range from 1-4' tall) have the classic, sweet-tart, "wild" blueberry flavor, while highbush varieties (usually taller) are the typical sweet commercial berries. But even with the commercial highbush berries, flavor varies. Try a few that sound yummy and see if you can taste the difference!